StPeteBeach.com is your concierge to St Pete beach, Florida - Voted #1 in Top 10 Beach Destinations by TripAdvisor.com! St. Pete Beach is home of pristine sugary white sand beaches, clear gulf waters, warm sunshine, and plenty of hospitality. From family oriented beachfront resorts to quaint inns in the relaxed Pass A Grille area, St Pete Beach is a perfect vacation destination. Nearby is the famous Salvador Dali Museum, award winning Fort De Soto Park and the St. Petersburg Pier. There is lots to do on this gorgeous beach and plenty of great dining, from casual to gourmet! Whether your style is to stretch out in the sun or investigate an old fort we have it all! World Wide Traders is hosting a Watch, Jewelry and Collectibles show from September 3-4, 2013 at the TradeWinds Island Resort. Buy, Sell and Trade with dealers and sellers! 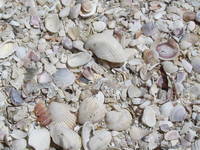 LOCATED DIRECTLY ON THE GULF OF MEXICO IN BEAUTIFUL ST. PETE BEACH, FLORIDA. Frank T. Hurley Associates, Inc.
Real Estate is a people business, and service to people is the philosophy upon which Frank T. Hurley Associates, Inc. was founded in 1948. Welcome to Liberte Management. We specialize in Vacation Rentals of Condominiums, Condo Hotels, Timeshares, and Single Family Homes, as well as Professional Management. 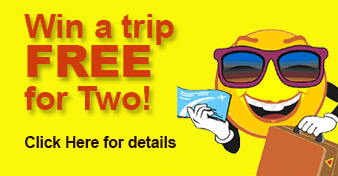 Enter FREE TRIP FOR 2 contestfor a chance to win a fantastic vacation to beautiful Saint Pete Beach.